As you might know if you read the Project and Purchase Roundup posts, I have a 35’x35′ woodchip garden. So I signed up, requested a delivery, and less than 2 hours later had a beautiful pile of fresh Red Pine chips on my driveway. I was quite happy with the quality and delivery of the chips, and will definitely request another delivery in the future. If you have a need for woodchips, I recommend signing up. But the real point of this post is that ChipDrop is great lesson for those of us trying to build a more virtuous society. ChipDrop provides a service that solves a number of problems. Let’s say that you are a gardener trying to get a free load of woodchips from a tree service. You call your local tree service, and they say they’d be happy to drop some off next time they do a job near you. But when is that? If there are a number of tree services in the general area, one of the others may be doing a job a mile from you, and you might never know it. ChipDrop allows you to show up on a live-updated map that all the tree services in the area can look at, allowing you to get a delivery right away–in my case, within 2 hours. Now imagine you’re the arborist. No need to keep a list of people who wanted woodchips, or to try to call someone that has taken them in the past and see if they want more. Just pull up the map, and pick the closest place. If your working an hour away from home base, this can allow you to do a job, dump, and move right on to the next job, without wasting 2 hours driving back to home base to dump chips and then back out to where the job is. ChipDrop is a win for you. 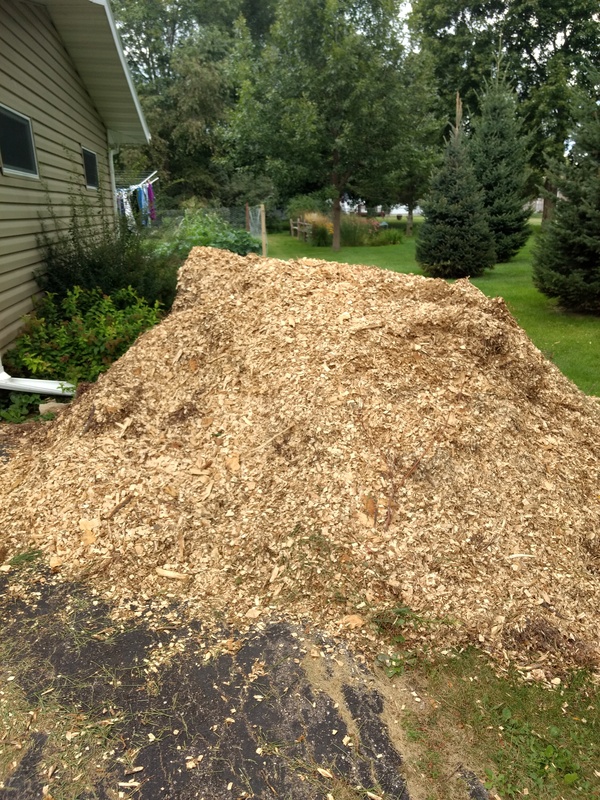 Here’s how ChipDrop makes its money: It charges the arborist $20 to dump his woodchips that he needs to get rid of in the yard of a person that wants them. That’s not a bad price for the arborist. But it gets better. You, as the person wanting to receive the chips, can choose to pay an multiple of $20, up to $80, for a load of chips. If you pay $20 for a load, that covers ChipDrop’s fee–there is no cost to the arborist to drop his chips in your yard. If you pay a larger amount, the balance you pay over $20 becomes a credit in the arborist’s account. So if you pay $60 for a load of woodchips, the arborist not only dumps that load for free, but also the next 2 loads–even though the people receiving the next two loads don’t pay a dime for them. This way of allowing either side of the transaction to pay for the brokerage and mapping service ensures that all parties reliably receive a good value in the exchange. Finally, look at who this service helps. It helps gardeners and arborists. Both of these activities are virtuous by nature. They both involve physical labor, and are both heavily involved in the physical and natural world. They both put people in a position to contemplate the works of the Creator, and to appreciate His designs. They both attract the kind of people that are vital to any attempt to build a virtuous society. ChipDrop will do more to improve this world and advance our ends than any protest ever will. We must look for more opportunities to create services like ChipDrop. Sweet. There’s free woodchips around me, but its over an hour away and then puts wear and tear on my vehicle. I’d gladly pay the fee.